Sit back and put your feet in. Invigorating water jets and soothing built-in heat create the ultimate massage. Two powerful hydro jets deliver a rejuvenating stream of water to increase circulation, relieve tight muscles and relax tired feet. Rotating jets with two adjustable speeds create a personalized massage. Quickly heats water up to 115 Degree and maintains temperature, eliminating the need to add hot water. 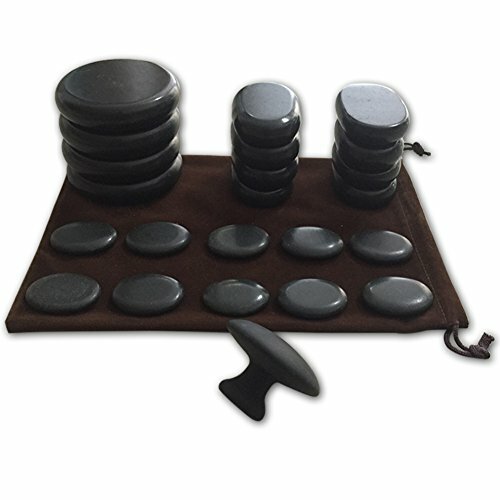 Two rolling nodes provide kneading massage to your arches, stimulating important reflexology zones. 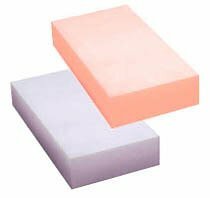 Removable pumice stone exfoliates rough, dry skin on foot pads and heels. Roomy, oversized "tub" with cover to prevent splashing. Comfortably fits up to a Men's Size 14. Weight: 13 lbs. 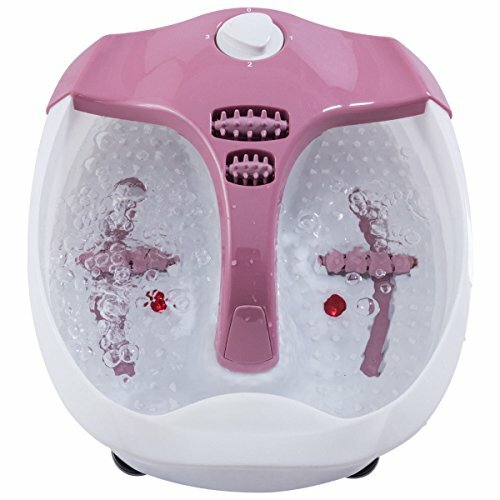 Bring the spa home with this heated foot spa. There's nothing nicer than coming home to the perfect foot massage-especially one that doesn't come with the spa price tag. 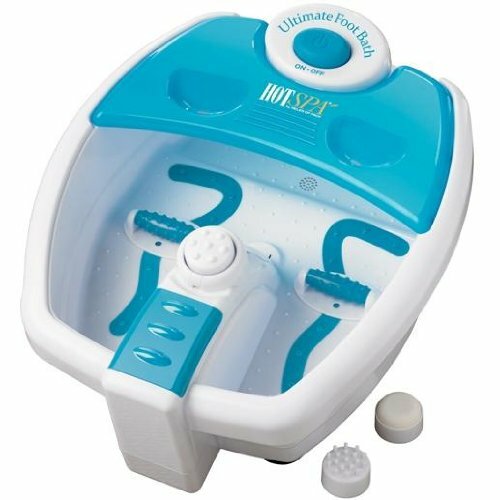 With the Aqua-Jet Foot Spa you can get soothing heat and power hydro jets to all the right places in your feet. 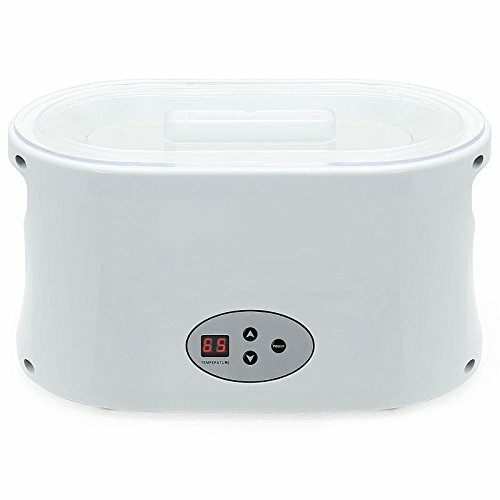 This premium wax warmer spa bath by Salon Sundry is the ideal combination of high performance and convenient design, ideal for professional quality paraffin wax treatments at the salon or at home. Get soft, smooth, and moisturized skin easily and affordably with this deluxe machine.This highly durable wax machine with a sleek composite frame and metal interior is suitable for use with all types of paraffin salon wax. 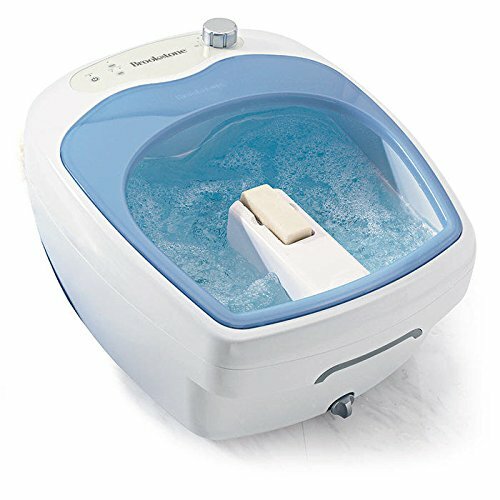 Unit features a large, open design (approximately 12" x 7") to accommodate hands, feet, or elbows.It also features a power button and variable temperature controls that allow for fast wax meltdown (35°-65°C /95°-150° Fahrenheit) and the ability to set to desired temperature preference for complete comfort and a luxurious spa experience. A well-lit readout displays the set temperature for more precise control.A composite grill for use in the bottom of the tank is included to protect the heating surface, and integrated handles on the side of the unit make this wax pot both easy and safe to move.The unit includes a plastic see-through top to monitor wax meltdown, a US Standard 3-prong power cord, and owner's manual.Salon Sundry specializes in creating the highest quality salon equipment, and is the preferred choice by industry professionals. Product Specifications • Glooves size: 26 × 16.5cm (10.2 × 6.5 inches) • Booties size: 30 × 21 (11.8 × 8.3inches) Usage Tips • Place your hand(s) into the hot parafin 5 times. 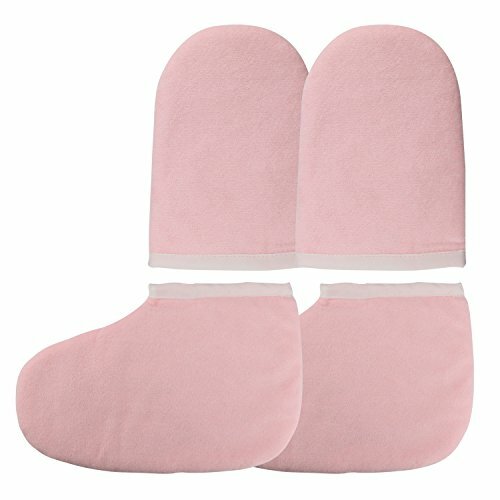 • Then put your hands into parafin protectors (plastic liners) and then place them in the terry mitts to hold the heat in (for about 10 minutes). That way you get the healing benefits longer. • Same way to your feet. 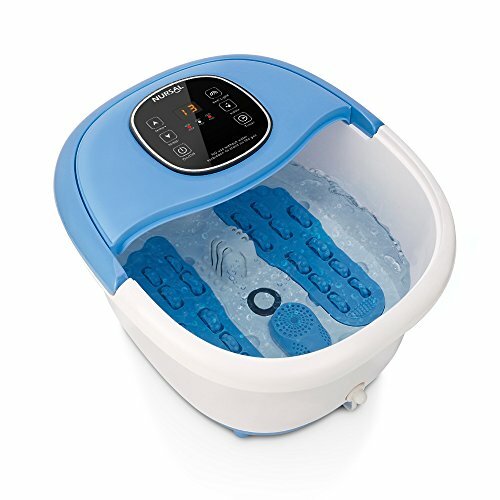 Looking for more Hot Spa Foot Spa similar ideas? Try to explore these searches: 16' Lightweight Backpack, Victorian Brass Bed, and Phone Battery Backup. Shopwion.com is the smartest way for comparison shopping: compare prices from most trusted leading online stores for best Hot Spa Foot Spa, White Pearl Cluster, Maybelline Long Lasting Lipstick, Foot Spa Hot Spa . 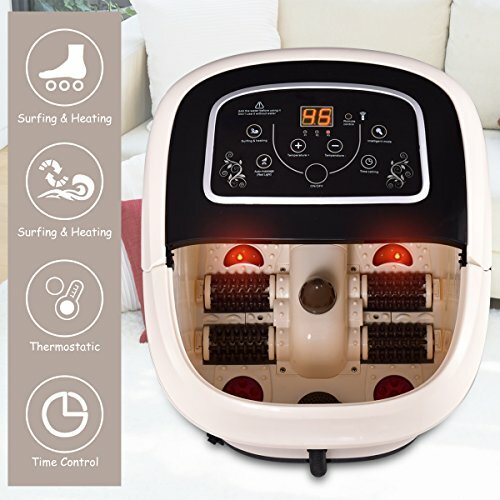 Don't miss this Hot Spa Foot Spa today, April 26, 2019 deals, updated daily.